As one of our exclusive members, you'll receive amazing discounts up to 65% off normal resort rental rates through our network of wholesale exchange companies. Don't just take our word for it. 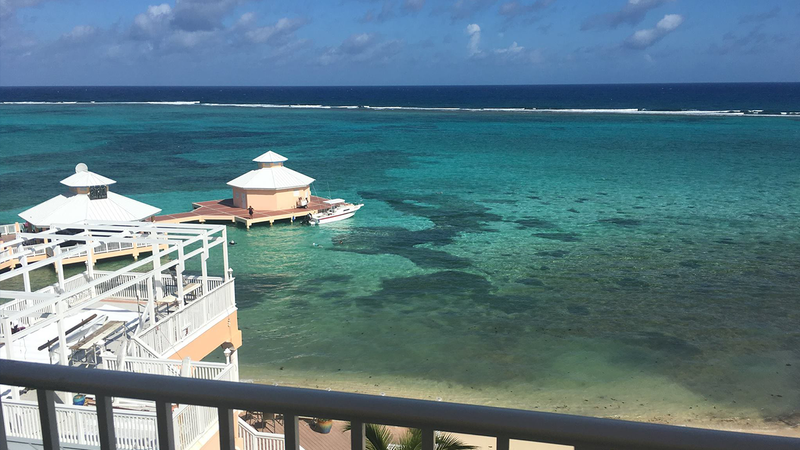 Take a look at some of the stories our members have shared while they were out on their own Grand Resort Travel adventures. $225 - $370 for a one week stay! Our live inventory is updated daily so our members can always find the most current prices on travel options. Wyndham Rio Mar Puerto Rico. One of our members is vacationing at Wyndham Rio Mar in Puerto Rico this week. They shared these photos with us today. We are looking forward to seeing more when they return. We are happy to be part of another wedding. Thanks to our member Randy Pangle for sharing this photo from Pigeon Forge, TN, where he stayed at Pin Oak Cabins. Mr. Pangle, a member for 9 years said this about GRT and his membership, "Well worth the money. We Have used our membership many times through the years.The folks at Grand Resort do an excellent job. They are very professional and courteous. Lisa Stain has been excellent in helping us find available resorts. She is always very professional and helpful." HISTORY AND CHARM STEPS FROM THE ANNAPOLIS CITY DOCK The clip-clop of horse drawn carriages. The yachts sailing into Annapolis Harbor. This charming 3-BR, 2.5-BA townhome located at 22 Fleet Street and just a 1/2-block from the city dock is a luxurious vacation getaway in the heart of the historic district of Annapolis. Built in 1881, this townhome has been completely renovated, with beautiful wood floors, an open floorplan and every modern convenience. Escape from the world on the private back patio or private balcony. Entertain in the open kitchen that flows seamlessly into the dining room and living room, or on the private balcony and private patio.